Washington (CNN) — On a dreary day a few weeks before he died, Justice Antonin Scalia delivered a talk to an unusual Washington audience: a room full of Dominican Friars in white robes. True to form, he provoked a debate about Saint Thomas Aquinas, the intellectual giant of the Dominican Order. 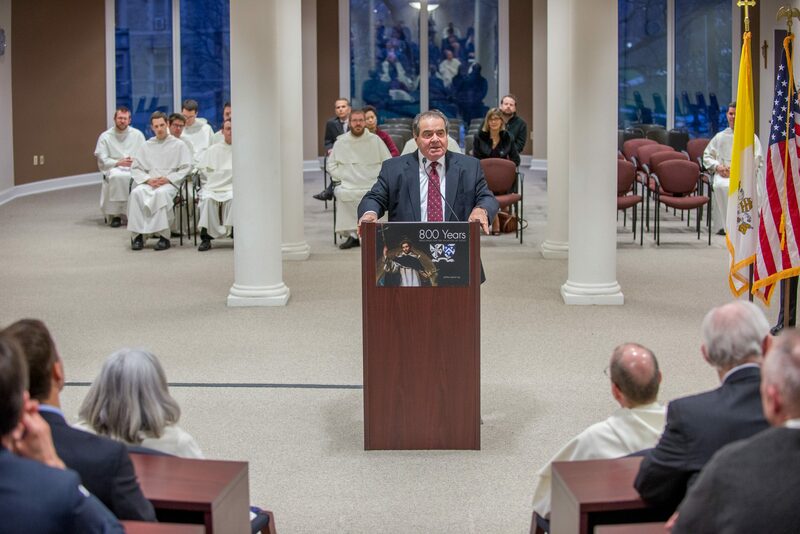 Scalia pointed to some of the Great Dominican’s writings on the law and justice and suggested that Saint Thomas Aquinas wasn’t always a strict textualist. “Horrors!” Scalia exclaimed to laughter. A devout Catholic, Scalia was just as home in a church as he was on the bench, and his trademark wit and passion were on display at both. Read the complete CNN article here.